The project view is built like a file system - much like the one you'll find on your computer. 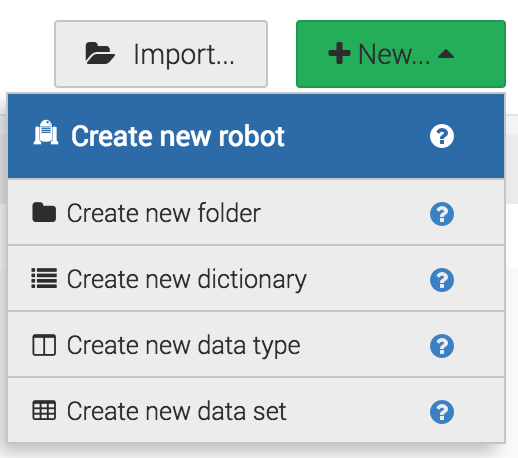 Here you'll keep and organise all your assets like robots, data sets and data types. To create a new asset simply navigate to your Projects view and click the "New" button at the top right. Note that the Projects view supports dragging and dropping your assets - allowing you to organise your assets any way you see fit.